It’s not your typical success story, not the kind you find in Hollywood in any event. This one is made up of endless hours of compromise in a setting that would not necessarily be anyone’s first choice and that involved more learning about fuel economy and general team work than the glory of Formula 1 racing. This story is also one of perseverance in the face of dismissal, of sticking to your passion when all of life’s directive arrows must have been pointing elsewhere. This is the story of Brendon Hartley who, a mere couple of weeks ago had been left pondering his future with Porsche and considering a possible career with IndyCar. A lot can change in a little more than two weeks’ time. 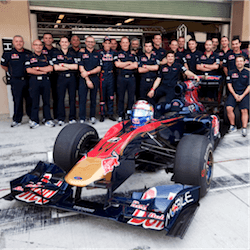 After all, the 27 year old Kiwi hasn’t only impressed endlessly with his debut Formula 1 race for team Toro Rosso, but has also secured a contract for the full 2018 season. Hartley had always been considered to be F1 quality, having secured support from Red Bull at an early age. It all happened at an unfortunate time, with many talented young drivers entering the Formula 1 scene at the time. Hartley was eventually dropped by Red Bull, and after a brief and unsuccessful spell at Mercedes, moved into LMP sports cars. Ironically, this was exactly where it all started for Hartley. The New Zealander was soon spotted by Porsche, and ended up spending the last four years racing supercars with technology the likes of which Formula 1 can only dream of. Hartley had come full circle by the time he dared to make contact with Red Bull’s Helmut Marko. Ironically, it had been Marko’s decision to drop the young Kiwi from the initial ranks of Red Bull back in Harley’s early twenties. Hartley’s maiden Formula 1 weekend went a dream. Grid penalties ensured that Hartley always started way at the back. This relieved a lot of pressure from the newbie driver. Hartley is well known in Porsche circles for being big on saving fuel and saving tyres. Not only did he manage to qualify for Formula 1 on the weekend, but he also aced the very tricky business of Formula 1 fuel and tyre management, no doubt thanks to his valuable time and learning at Porsche. Hartley made it safely to the chequered flag in 13th place, securing not only the qualifier, but also the bright Formula 1 future that he had been dreaming of for so long.